As Salesforce’s target clientele are more traditional corporations, C-level executives, and office manager types, the concept of digital nomadism can be alien. However, the notion of remote work for employees and less physical time in the office makes a lot of sense in today’s age. Though perhaps not on the scale of the four hour work week! 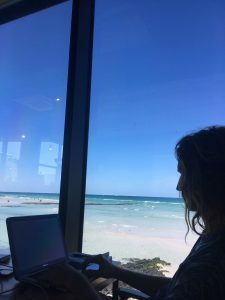 As a long time freelancer and nomad, I’ve long realised a stuffy office job is not for me. But, over time, I help various companies with projects, from wherever in the world I may be. There is something to be said for the freedom of working from somewhere comfortable on my own terms. I’m happier, more productive, and inspired. As long as the work is submitted on time, at a high level, and pay is reliable, everybody is happy. Less time commuting or at pointless meetings means more focus on work and my other passions in life. Innovative companies looking to improve employee happiness while increasing productivity can further examine the digital nomad approach to work, travel, life. While many companies contract the services of freelancers – many of whom are digital nomads – it runs contrary to in-house, salaried positions. Nomads seek freedom! This is why we do it. The benefits of nomadism to workers are plentiful: freer lifestyle, time & money savings, flexible hours, loads of travel, and more. For employers, benefits include happier employees, lower overhead costs (why lease a huge, resource-sapping office?) and increased productivity. 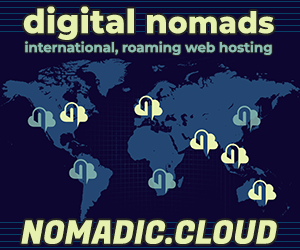 In lieu of dedicated digital nomad employees, other terms for similar remote workers are “telecommuters“, “work from home“, and “virtual worker“. Any and all of these terms are interchangeable, though they all mean the same thing: Less time working from offices. Thanks to Salesforce for sending through this infographic and their article. Sea has been a freelancer and nomad since 2000. Over the past five years he has balanced work-travel life around the world, leaving his home in Melbourne for good fourteen months ago. 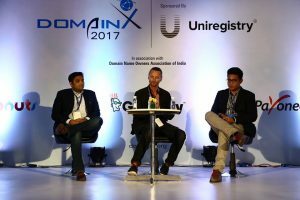 He is the founder of Mother.Domains, and editor of this very DigitalNomad.Blog. 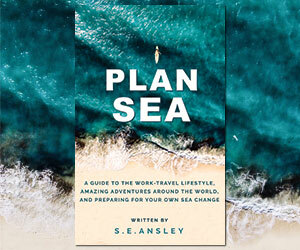 Sea is authoring his second book, Plan Sea: A Guide to the Work-Travel Life.